Today’s blog post was written by William Ramsey, YouthBuild Philly’s Volunteer Coordinator. 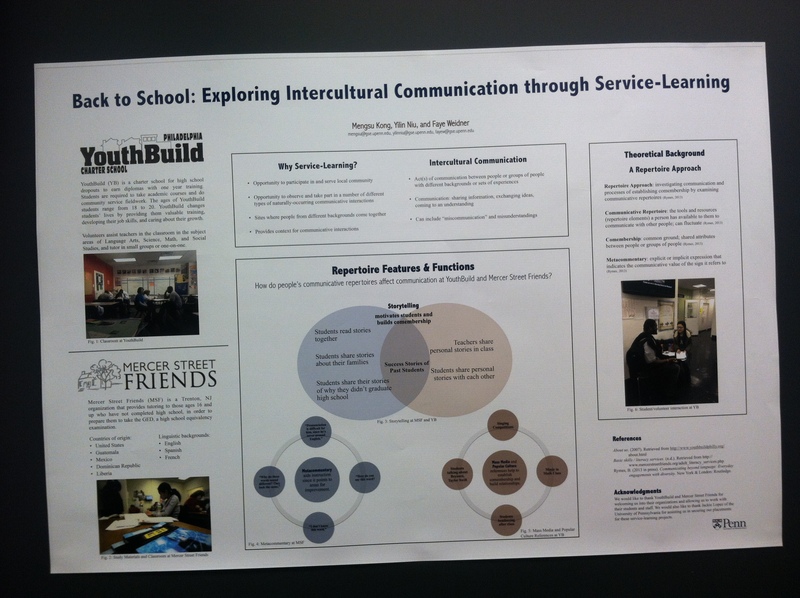 YouthBuild Philadelphia Charter School had the pleasure of partnering with University of Pennsylvania’s Graduate School of Education (Intercultural Communication Program) during the Fall 2013 semester. Intercultural Communication Program students, Mengsu Kong (Sue) and Yilin Niu (Sabrina) participated in community service projects with YouthBuild Philly students and served as classroom assistants tutoring students in Science, Social Studies and Math. In addition to volunteering as academic tutors, Sue and Sabrina shared their Intercultural Communications expertise to help us learn more about how different modes of communication play out at YouthBuild. On Monday, December 9, we celebrated with Sue and Sabrina the conclusion of a wonderful service term. 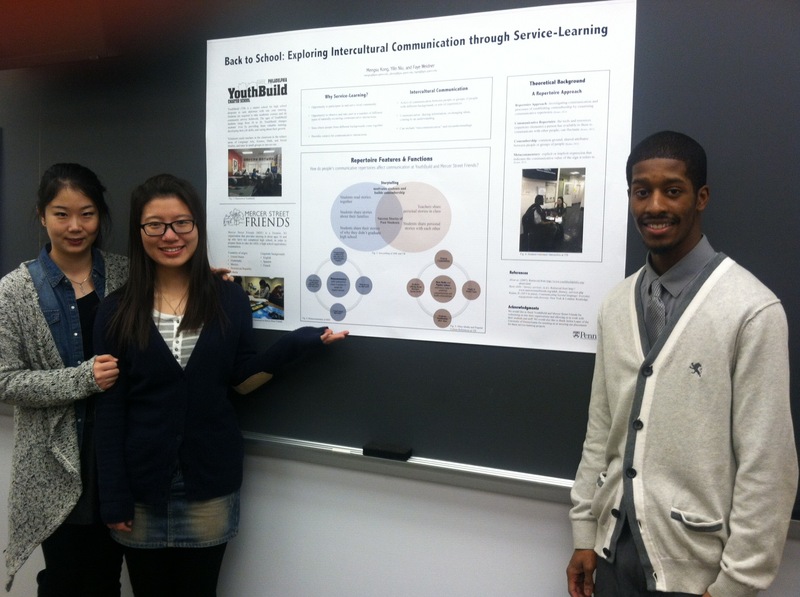 As Intercultural Communication students, their objectives were to study what communicative functions students personified and how they affected students’ academic and social performance. Sue and Sabrina’s studies showed that storytelling often motivated students, built a common ground between their varying styles of learning. Instructors and students often shared personal life lessons learned with each other to make class discussions comfortable and as candid as possible. The influx of mass media and popular culture references also helped bring excitement to academic coursework, which would also continue to peak students’ interest. Our service partners, Sue and Sabrina shared their academic expertise and cultural experiences with our at-risk youth population, challenging both themselves and our students to defy many cultural misconceptions and learn to understand each other through the essence of humanity. Thank you Sue, Sabrina, and Penn GSE for an exciting and educational semester! Sue and Sabrina, University of Pennsylvania GSE ICC students with Volunteer Coordinator William Ramsey. Click here to learn more about volunteering at YouthBuild! Thank you William!!! It was a great experience in YouthBuild. Love these pictures!